While curating for the hawkers stalls for the Ultimate Hawker Fest 2014, I come across this stall at Toa Payoh Blk 127 Market & Food Centre. Richard the second generation of Teochew Handmade Pau told me about Lau Sim Chicken Shredded Noodle which made one of the best Teochew fish dumpling. 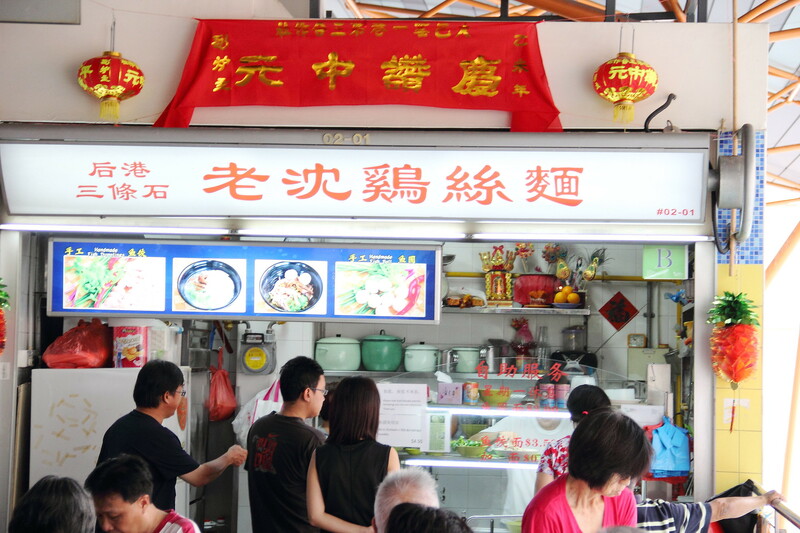 I even met my friend's family who visit the stall every weekend just to have his fish dumpling. 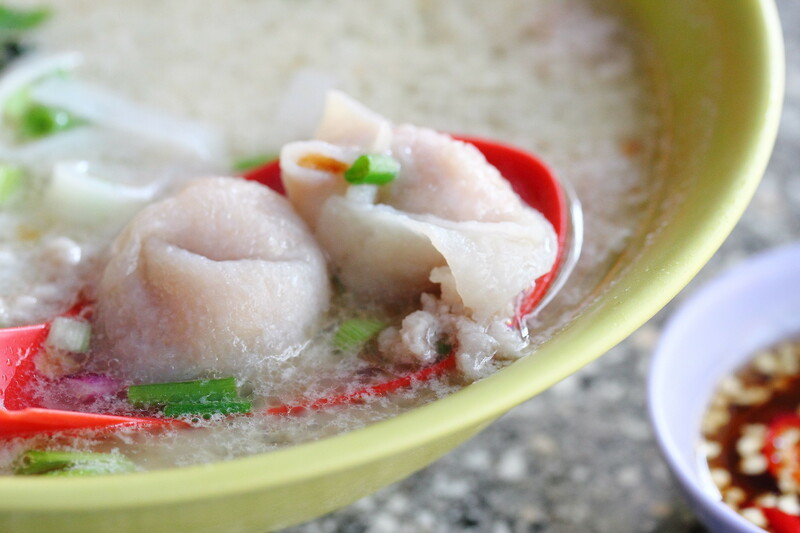 So what is so good about Lau Sim's fish dumpling or Her Giao that everyone is raving about? The only way is to join the queue and put the taste buds to test. First up, I tried the Fishball Noodle Soup ($3) which comes with two ping pong size fishballs, some shredded chicken, minced pork and mushrooms. The soup itself was quite rustic in taste, not heavily flavoured. The highlight has to be the springy and bouncy fishballs which are made by the stall owner himself. The stall also offers dry version. The Fishball Noodle Dry ($3) with chilli was pretty pedestrian. 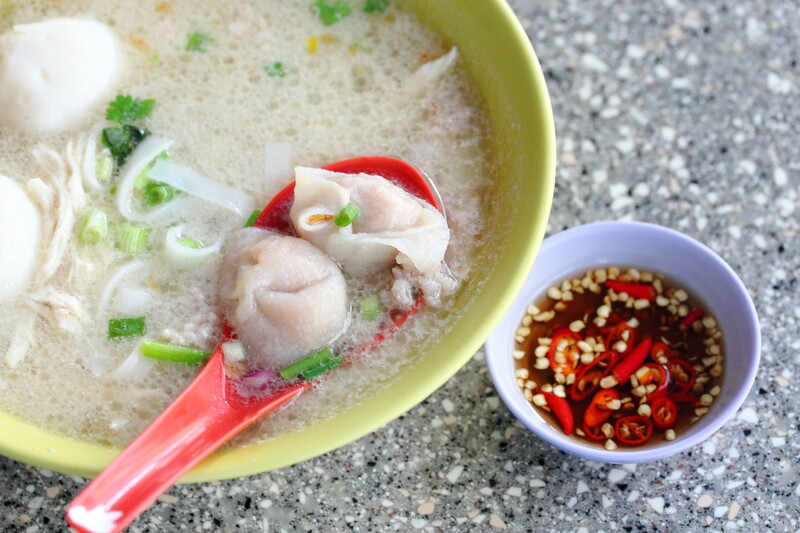 The fishballs are probably the reason why I would queue for it. 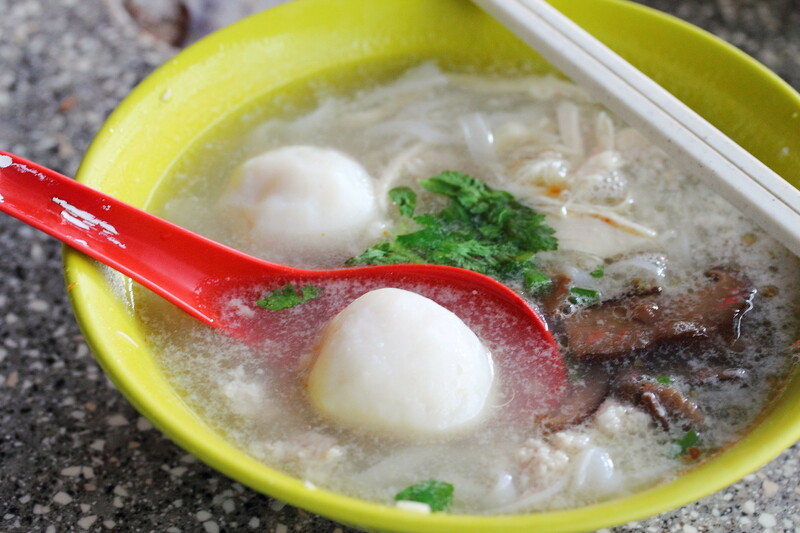 To enjoy the Fish Dumpling or Her Giao, you have to either order the Fish Dumpling Noodle ($3.50) or the All-In (Fishballs + Fish Dumplings) Noodle ($4.50). I had the later which comes with two fishballs and two fish dumplings. Putting the noodle aside, the star definitely is the handmade fish dumplings. This is the real stuff painstaking made from fish meat to get that chewy, springy skin texture wrapped in a mixture of minced pork and sole fish. Making these delicious fish dumplings is extremely labour intensive and the owner can only make a limited amount each time. Hence the stall goes by a strict policy not allowing one to order more of the fish dumplings so that every customers who made the long journey to the stall are not disappointed. 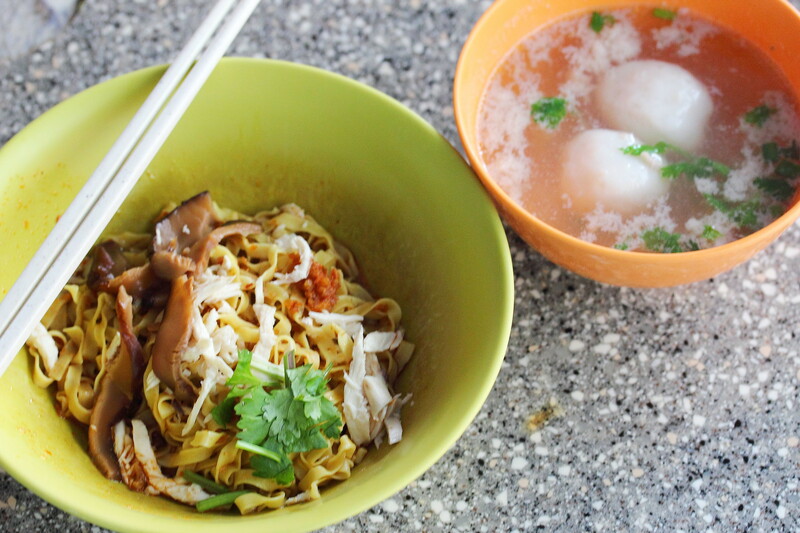 If you think you have tried the best fish dumpling, wait until you tried this at Lau Sim Shredded Chicken Noodle. I promise that you will never regret it and set the par so high that you probably felt those served elsewhere is rubbish. thanks for sharing about this stall Derrick! love the fish dumplings to bits!